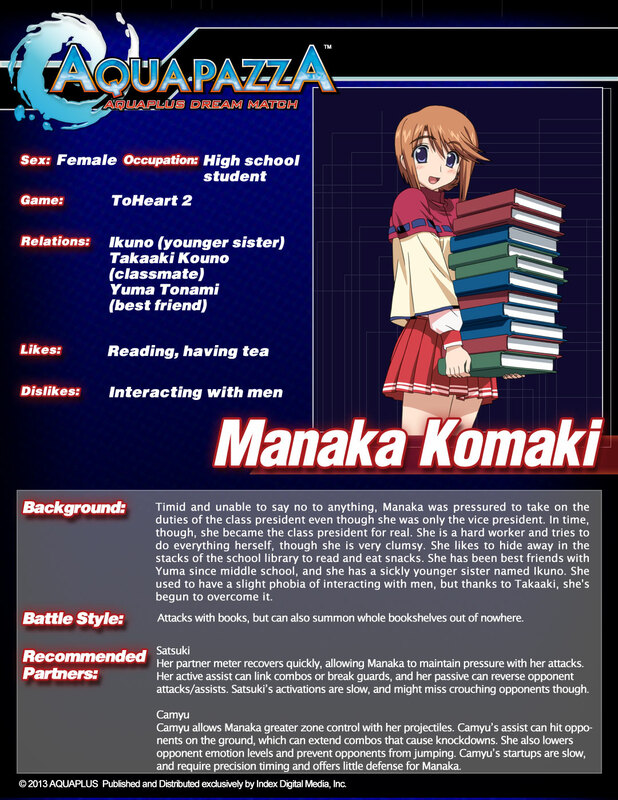 AquaPazza releases Nov 19th on PlayStation 3, and Atlus has been releasing biographies for each of the characters in the game. 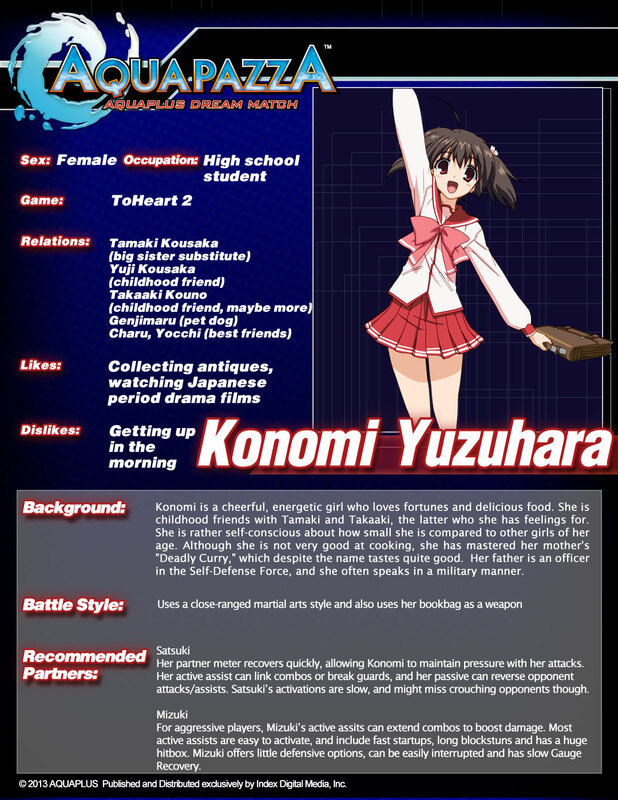 I’ve taken the liberty of looking at each of the bios, and totally making them better. Here’s round 3! The mask wasn’t attached with hinges, or screws that bore into Hakuowlo’s skull. There was no rubber cement, or superglue holding it in place, and yet, the mask could never come off. Was it magic? Well, yes, it was magic. The question was, what kind? 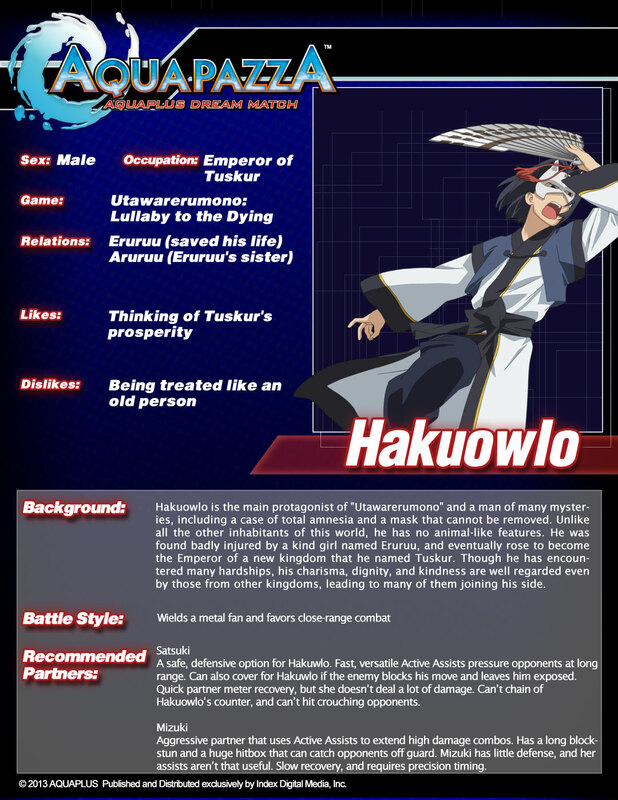 It didn’t help that Hakuowlo had been stricken with Japanese Protagonist syndrome, colloquially known as amnesia. He had it bad, and he didn’t know how he came to be in direct possession of the mask, or why it was stuck to his face. He had sought the counsel of the smartest doctors in the land, but they also contracted amnesia because it was conducive to the plot, and it seemed like all Japanese protagonists got amnesia. Maybe it was a cultural thing. Perhaps one novelist or storyteller had a successful story in which the main character got amnesia, and all the others saw this and thought that it was the key ingredient in making a popular story. Amnesia descended on the literary world like the Black Plague. Given the choice, no one would WANT to get amnesia. I mean, how did that mask get on there? Are we going to get an answer to this? Everyone wants to know, especially Hakuowlo. What kind of person did he used to be, he wonders. Does it matter? What about the life he has created for himself now? Does he need to be influenced by the past? All of this could be avoided if there was no amnesia. Hakuowlo fights to ensure no Japanese protagonist has to endure the indignity of narrative amnesia. Holy Jesus, the author thought. I’m not sure if I want to really touch this one. This one seems really… scary. There’s no real identifying information here except things I’d really like to stay far away from. The author remained uncomfortable. But the smiling, unjudging face of Konomi Yuzuhara continued to stare at him. He had to come up with something. He had committed to do parody bios of AquaPazza for every character, but Konomi had nothing that he was comfortable making fun of. He didn’t want to make fun of her cheerfulness, for as he got older the thought of his own mortality and significance came closer to the forefront of his mind. It seemed wrong to slam someone else for youthful exuberance. Even if it were a fictional character. He couldn’t find the humor in it. He didn’t feel appropriate putting her in an adult situation, even though it was likely the original game she came from placed her in adult situations. Wait, that’s pretty messed up. I mean, does she even approve of that? I mean, these are all fictional characters. They don’t have feelings other than the feelings they exist to have in order to give players other feelings. But I mean, she totally looks 14. Okay, so she’s fighting for the right to not be depicted in untoward situations. And no, that whole “All characters in this game are aged 18 or older” disclaimer doesn’t fly. We all know, alright? We all know. And if you ask me, she’s totally okay with this as her goal. The lawyer straightened his tie and responded. “It’s not about how similar they are on the surface, but the kind of imagery that appears in the minds of the public. It’s too close and to infringing. You’re going to have to find another fighting style.” With that, he got up and left without so much as a glance backward. Manaka slammed her hands on the table again and left them there, her hands and arms shaking. “I’ll show him… and I’ll show everyone! I’ll win AquaPazza and I’ll win by slamming a book over everyone else’s head!” She got up with a start, but then she tripped because she is clumsy, apparently, and that is cute.